In March 2016, Ricoh unveiled its latest offering aimed to improve the way students, faculty and staff capture, transform and manage information – its Multifunction Printer (MFP) for Education Series. These new product offerings interface with Learning Management Systems (LMS), cloud storage and print management software options that help modern schools and campuses succeed. As institutions continue to further integrate these applications into the day-to-day business of learning, providing access to an intuitive, reliable portal has become increasingly crucial. 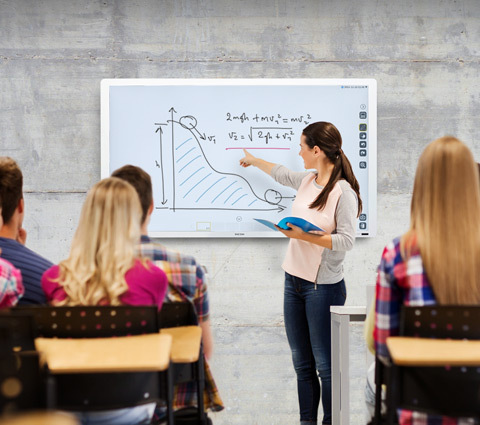 As such, the MFP for Education Series is equipped with a large operation panel to facilitate use of optional software solutions and built-in paper tray locks to combat improper use and promote device uptime. Comprising an extensive selection of both color and black and white MFPs from 25 to 60 pages per minute, the MFP for Education Series includes a device for virtually any school or campus need, from the computer lab workhorse to occasional-use departmental device. Designed to easily integrate with key optional software solutions and cloud services, such as Blackboard Learn™, Canvas™, Google Drive™, Dropbox™, Pharos and PaperCut MF™, these devices are uniquely positioned to serve as information portals to help students and faculty members work, collaborate and learn at the speed of information. This integration is further facilitated by pairing the MFP for Education Series with Ricoh’s Integrated Cloud Environment tailored for education (ICE - Cloud Education Package), which enables users to scan-directly-to and print directly-from optional cloud services. The MFP for Education Series features built-in paper tray locks that not only help reduce expenses but also help improve device uptime, efficiency and user productivity. Communal printers like those in some school and university locations can be more exposed to improper use. An example is the use of unsupported paper stocks by those who aren’t trained or authorized to load paper into the machine. This type of misuse can lead to jams and other issues that can result in downtime, costing anyone who needs to use the MFP time and productivity. With structurally integrated paper tray locks, such tampering and related downtime may be prevented, as only authorized users can load paper. Added to this, the integration capabilities of the MFP for Education Series helps provide students, faculty and administrators with a more efficient, effective and streamlined experience as they are better able to capture, transform and manage the information that drives education environments.